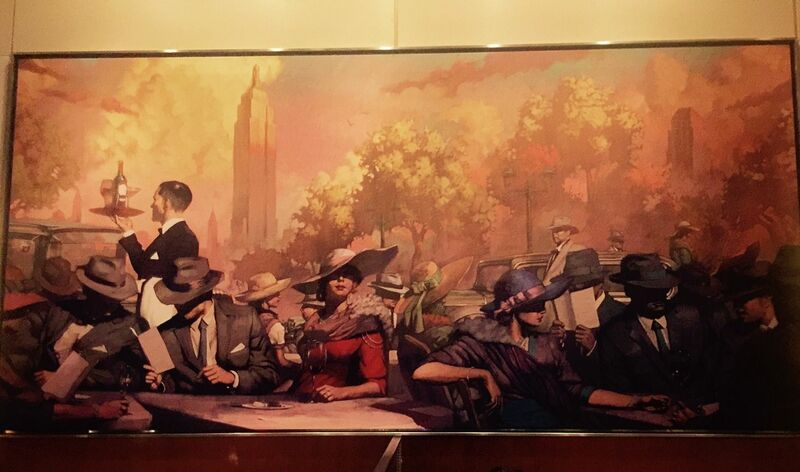 Architect Bloch found inspiration for this custom-order work at State Grill in a French painting. The two of us were alone at the 26-foot imported hinoki-wood sushi counter – inhaling the scent of cedar with each sip of icy sake from wooden cups. It was a moment of high drama as Masayoshi Takayama positioned his cutting board and began slashing away. I was so mesmerized I scarcely noticed the later arrivals. He offered to help if I couldn’t get into the very popular Neta, where everything in a quiet sushi bar that would normally be out back was up front because there was no “out back.” I was unsettled by the chaos. I figured it was one of his budget adventures. I decided to try to accept that a serious sushi destination needn’t be a temple of silence. So, when the Neta team, Nick Kim and Jimmy Lau, went off to open Shuko, I was not surprised to run into Richard, grinning with a certain pride, and another slab of tree forming a counter that required sanding every day. “Did I miss the press release?” I wondered. I got him to point out the design elements I might have overlooked. Bloch’s design for Nick Kim and Jimmy Lau at Shuko leaves room for a drink bar behind the counter. Last week at dinner, he was very mellow as he explained that he plans to move to Japan in a few years. It seems he fell in love with Japan and with Hiroko, who became his wife 40 years ago, while he was working in Tokyo on U.S. government projects. Hiroko runs the office. For years, he’s flown back and forth on work. The office stays in New York. He will commute. 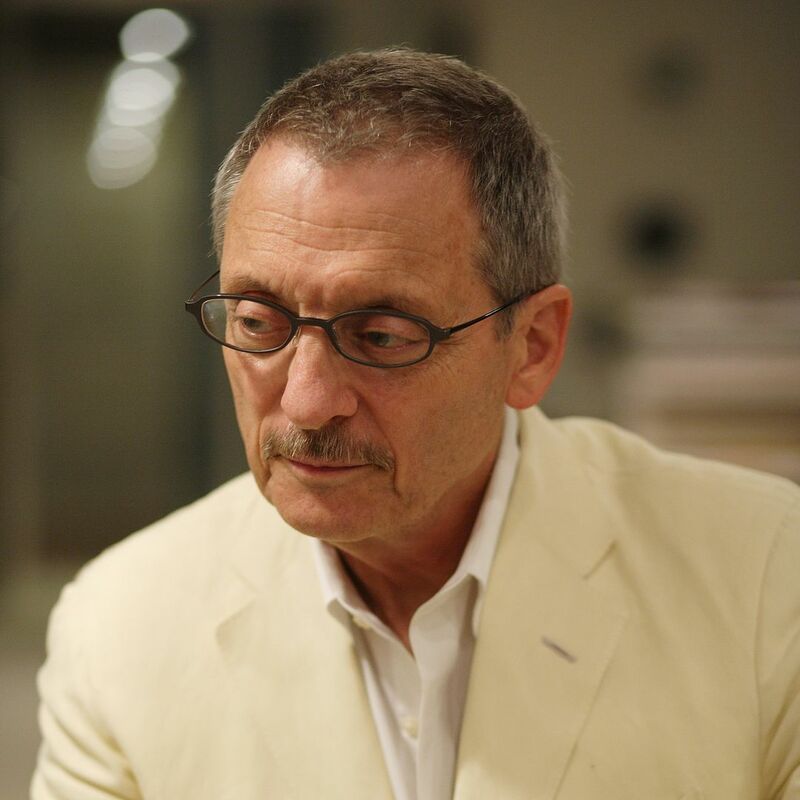 I prompted him to talk about what brought him to architecture. “I knew I wanted to be an architect at eight or nine,” he said. “My mother was kind of left wing and artsy. She took me to museums and galleries. First, I thought I wanted to be a sculptor. In shop class, I realized I wanted to be a carpenter. But then one of my teachers said, “No you don’t want to be a carpenter, you want to be an architect.” He got a book to see what that meant. “I never aspired to be a Frank Geary and do a Frank Geary building or even a Frank Lloyd Wright, where everything is in their style. I don’t care about doing a museum. I’m not interested in a legacy. I wasn’t going to be a minimalist or a traditionalist. He studied the Art Deco motif of the Empire State Building for his design of State Grill & Bar. He urged me to check out Patina Restaurant Group’s State Grill & Bar on the ground floor of the Empire State Building, one of his most recent projects. 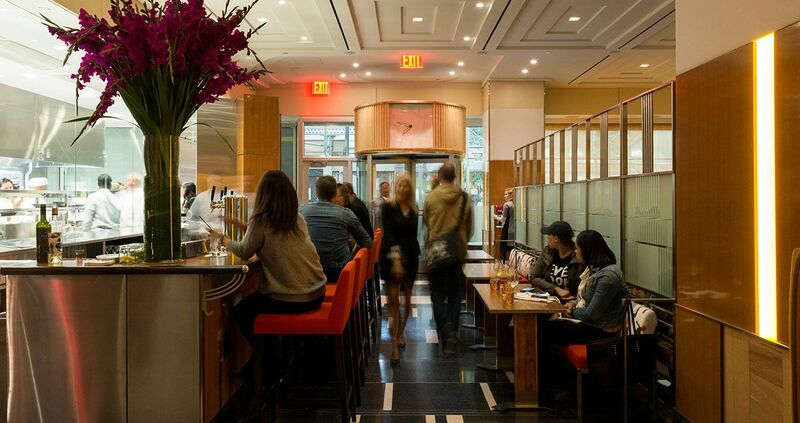 I’d refused to write about it when it first opened because construction hid the entrance on 33rd Street. The lamp is by the Austrian modernist Adolph Loos. Bloch ordered it from the original factory. “It’s finally finished now,” he said. And the sidewalk construction wall is gone, he assured me. “It was a tough challenge because so many things couldn’t be moved, the pipes, the ducts, the wiring. There was one overarching requirement: Patina chief Nick Valenti and the building owners wanted a place that looked modern and art deco, too. He started by studying the building design. “I knew it should be lightly art deco, restrained like the building itself. It wouldn’t be flamboyant art deco like the Chrysler Building." 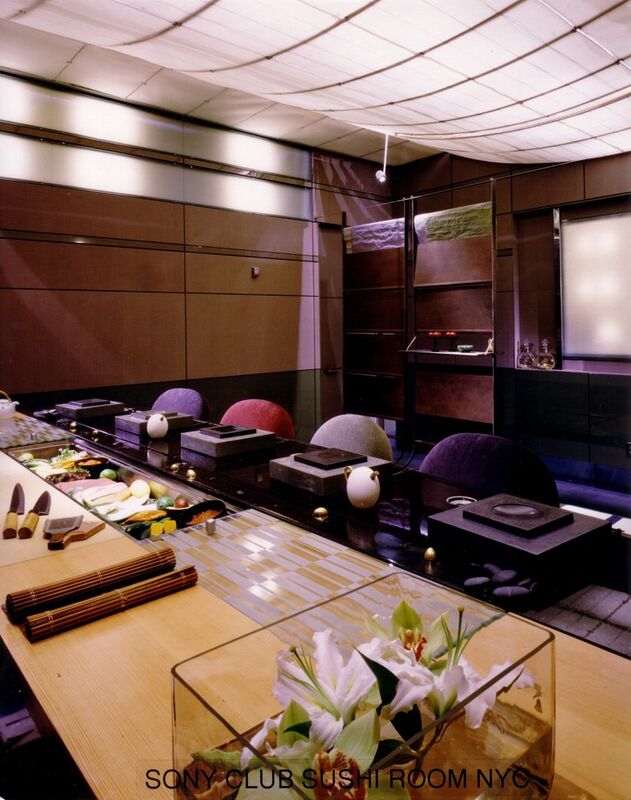 The small sushi bar at the Sony Club was built with precious materials in a closet-like space. He’s right. 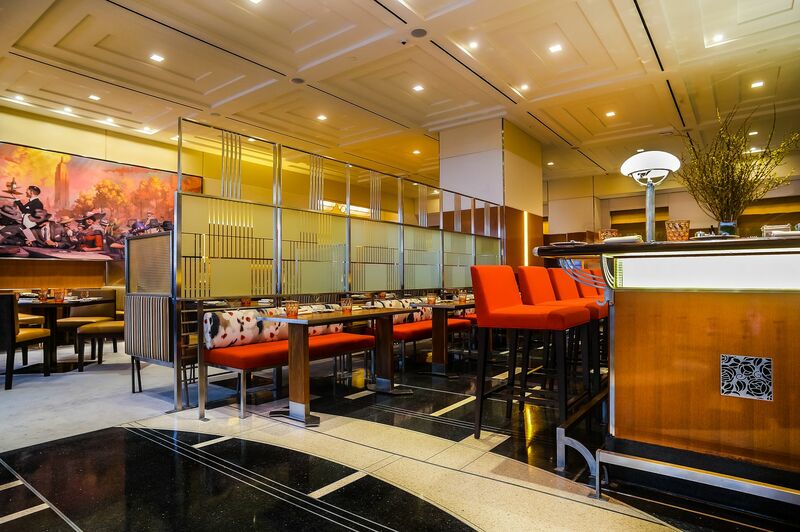 The State Grill and Bar is a gorgeous space with gleaming chrome accents, brilliant color, abstract images of the Empire State Tower etched on the glass wall that divides the bar from the dining room, and a large painting on the wall that looks very Don Draper. Bloch had it painted to order. And the very heavy metal 1908 table lamp at the end of the bar is homage, a design by Adolph Loos, an Austrian-Czech pioneer of modernist architecture. Bloch was so enamored with the $2500 lamp – still manufactured by the original Austrian workshop, that he ordered one for himself. Not long after this conversation, my friends and I settle into a booth where I find myself marveling at the audacity of covering a restaurant floor with a thick wool carpet. What an extravagance! The carpet is a shimmering grey, almost luminescent. “But what if someone drops a some beet juice?” I ask Bloch at our next dinner. 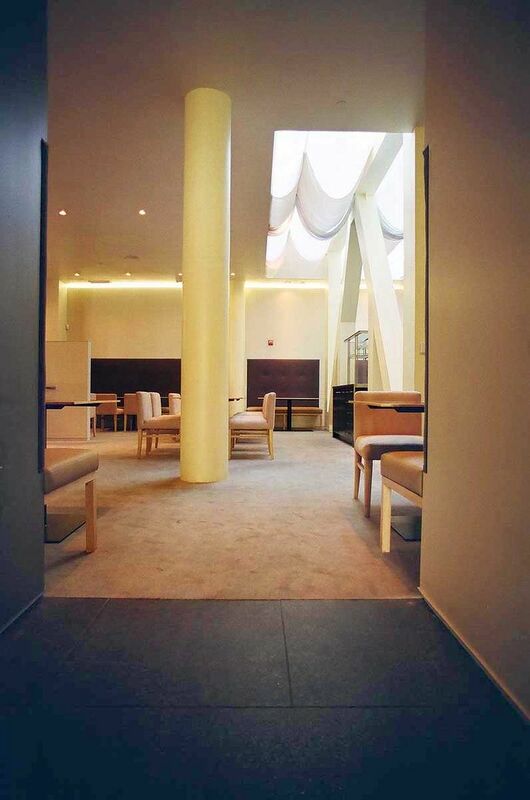 If forced to run a restaurant, he might choose Benu, the design he did for Corey Lee in San Francisco. 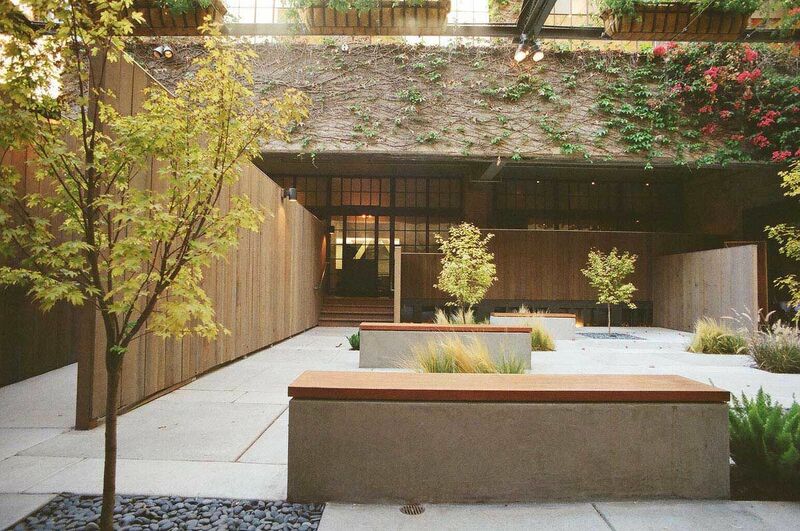 This is the tranquil courtyard entrance that leads to Benu. I asked if he would send the photos that you see here. “If I lost my mind and chose to open a restaurant, Benu, the restaurant I did for Cory Lee in San Francisco would be the place,” he wrote. 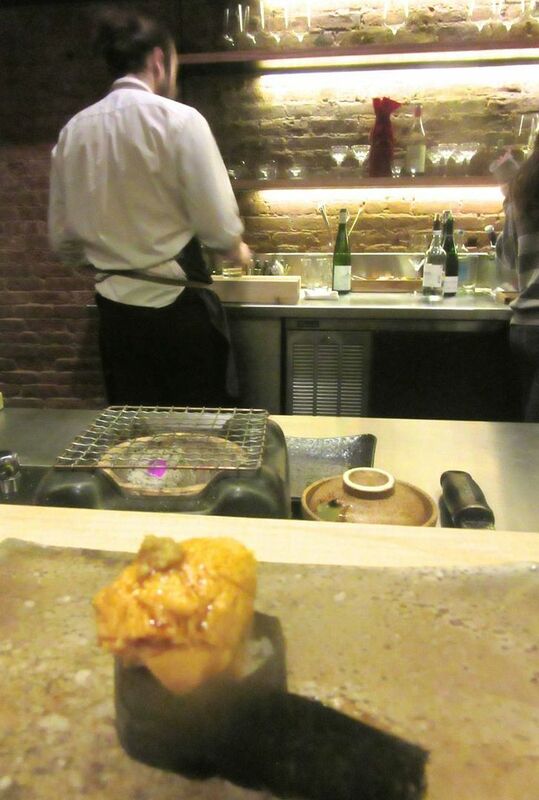 In 2014, Benu earned its third Michelin star. I’ve only seen the photos here, but I have to think the serenity of that entrance and the open kitchen surely deserves some credit.